One of the UK’s leading boiler suppliers has issued a warning to watch out for potentially misleading ‘watery’ boiler warranties. With extended five year boiler warranties becoming more and more common place, the managing director of Glen Dimplex Boilers, Colin Gardner, says many of these types of warranties are misleading, simply because they do not provide genuine cover. As with any type of warranty, it’s always imperative to read the small print. But according to Mr Gardner, many five year warranties are not what they appear to be. Often restricted to selected models – and for limited periods – most are supposedly five year warranties guarantee parts for a three year period with an additional two years labour cover. “Beware of the growing number of ‘watery’ boiler warranties that are simply used as a carrot and stick to drive sales without genuinely providing peace of mind for the homeowner or installer,” he warned. 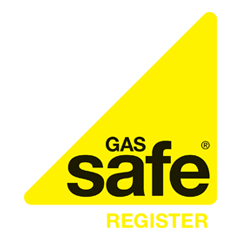 Mr Gardner added that in addition, these types of warranties can be confusing and misleading for installers because they often feature a variety of conditions which need to be met, ranging from loyalty scheme membership to attendance of training courses. It’s always worth remembering that if something seems too good to be true, it often is. The devil is in the detail, as they say. Not least when it comes to potentially misleading warranties.